Download the full Executive Summary PDF. 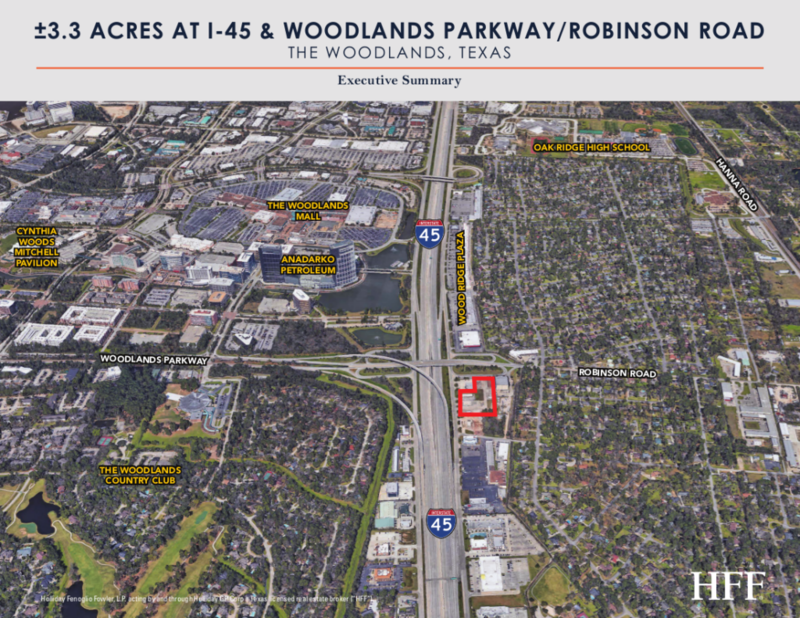 Property Info: HFF has been retained on an exclusive basis to offer qualified investors an exceptional opportunity to acquire ±3.3 acres located at I-45 and Woodlands Parkway/Robinson Road (“the Property”) in the Woodlands. The Property is perfectly positioned with excellent ingress and egress from I-45 and traffic counts of over 250,000 vehicles per day. This offering represents a tremendous opportunity to acquire a site ideally suited for a wide variety of development.